Opening your pool for the summer season can be a real hassle and very stressful. Even though the sun may be shining and the weather is warm, the pool is likely not quite ready for swimmers. Leave it to Leisure Tech to take care of the process of getting your pool opened and prepared for another fun and enjoyable summer. 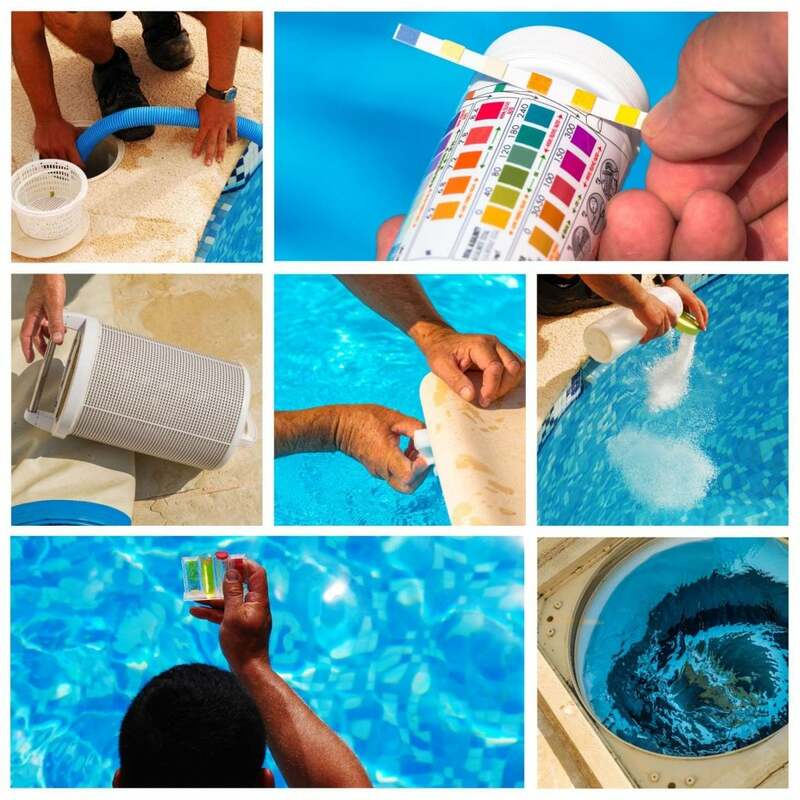 Opening your swimming pool can be an overwhelming process to complete each year. Leisure Tech is here to help! Remove pool cover, clean, fold and store per a location you choose. Leave it to our professional technicians who will make sure your swimming pool is balanced correctly and is safe for you and your family to swim in. Ready to schedule your Pool Opening? Does someone have to be home while the pool opening service is being completed? NO, the customer does not have to be at home during the period of time that the pool opening was scheduled. To ensure we’re able to successfully completed the job, gates must be unlocked, including garages and/or sheds. All pets must be in the house prior to our technicians arriving at your home. Once the pool opening is completed, is it safe for our household to swim in the pool immediately? Not immediately. Once you’ve monitored and tested the chlorine level to equal 3.0, it will then be safe to swim in your pool. How long does the pool opening take? On average, the pool opening takes approximately 1 – 2 hours to complete. How long does it take for the water to become clear? The level of water clarity depends on the condition of the water prior to the pool opening. On average, it typically takes about 2-3 days before the water is clear.